I did a TON of freezer cooking Sunday afternoon so this is why you will see many crock pot recipes (and some repeats) this month. Below you will find the source for the crock pot recipes. Have a great week! 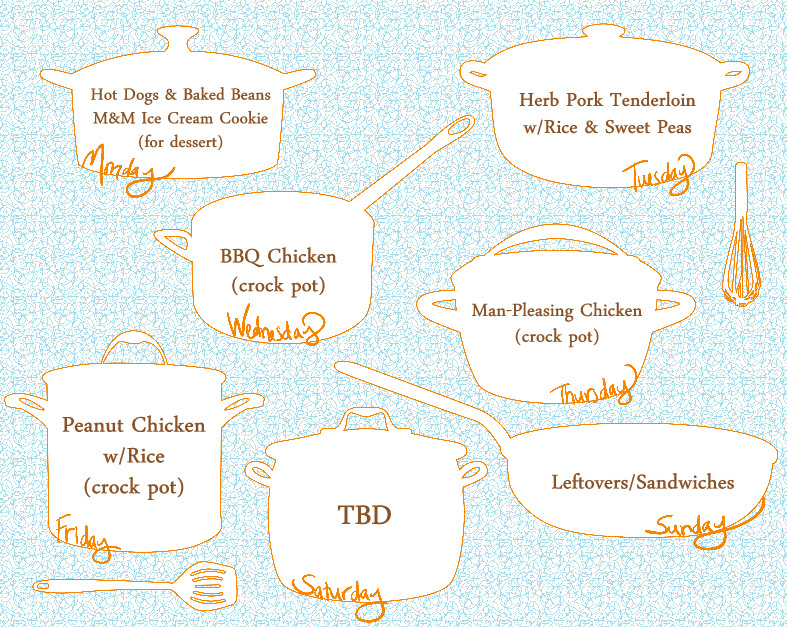 The crock pot recipes for this week can be found here. And, I totally agree - freezer crock pot meals is QUITE amazing. I'm pretty sure I am hooked on having everything prepared BEFORE making dinner from now on!